The demand for better quality healthcare in tandem with emerging technologies acts as a catalyst for the need for health insurance. While the insurance industry is poised for a high level growth in this sector, customers encounter an increased amount of out-of-the-pocket medical expenditures. Bridging this gap for consumers is perfectly poised Aflac, headquartered in Georgia, a supplemental insurance company that has managed to touch the lives of over 50 million people worldwide with its comprehensive suite of products that can help every customer/employee with health incidents right from accidents, disability, and cancer to life insurance. Additionally, the company introduced the One Day Pay for eligible claims, revolutionizing this domain. Moreover, Aflac individual policies are guaranteed renewable so once employees are enrolled, the former employee can continue coverage even if their relationships with their companies end (as long as premiums are paid). “We pay benefits directly to policyholders for valid claims. The industry base may be diverse, but they all want the same thing. They want to provide for their employees, they want it to be easy, and they want value. We never lose sight of that and we are constantly innovating to make the customer experience better,” informs Virgil Miller, president of Aflac Group Insurance. He goes on to tell us the Aflac inception story, the company was established in 1955 by the three Amos brothers who were severely impacted by watching their father pass away from cancer. They created American Family Life Insurance Company, which later became the American Family Life Assurance Company and finally named Aflac. A leading supplemental insurance company in the markets of the United States and Japan, the company rakes in revenues of $23 billion annually. In conjunction with this, the company is traded on the New York Stock Exchange and has a market value of nearly $37 billion. A world renowned app, SmartApp, developed by a dedicated team of experts, transformed the policy application process by permitting agents to electronically issue business more quickly and conveniently than ever before. Gaining global recognition, the app received the Computerworld Smithsonian Award for Excellence in Technology in the year 1999. Catapulting to further global recognition and carving itself as a household name was the introduction of Aflac Duck, a world renowned marketing campaign that has boosted the company from a successful, but regional company, to a giant in the U.S. and in Japan. It recently capitalized on the success of the Aflac Duck campaign with the creation of a robotic comforting toy aimed at entirely helping children cope with cancer, aptly called, My Special Aflac Duck. The highly interactive robotic duck is available with emoji cards that when tapped on the ducks sensor, triggers a reaction by the duck that will demonstrate how a child might be feeling on a given day; bringing comfort to the child, while helping caregivers with often challenging communication. “Since 1995, Aflac has contributed more than $131 million for the treatment and research of Childhood Cancer. The My Special Aflac Duck is just our latest, innovative advancement,” reports Virgil. 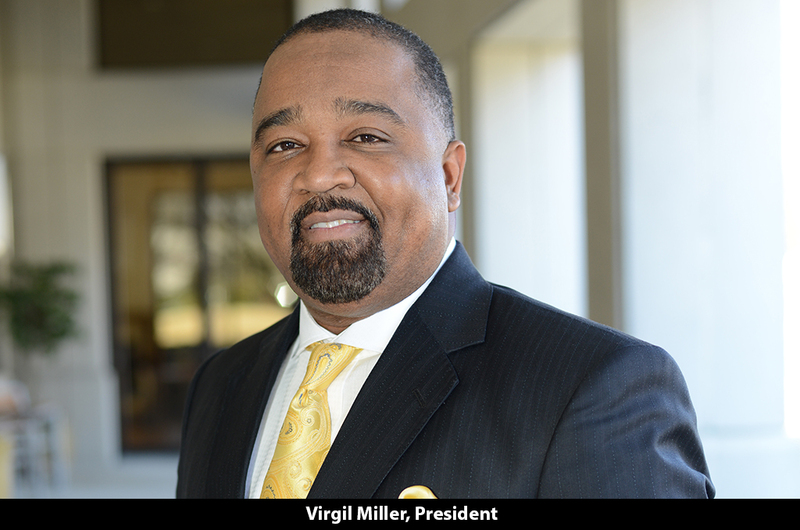 Virgil believes that his team plays a key role in the success of Aflac. The company prides itself on having one of the most diverse workforces in any industry. The employees constitute of roughly 67 percent women and 40 percent ethnic minorities. “Our President of Aflac U.S. and our Global General Counsel are both African American women. I am an African-American man, the President of Aflac Corporate Ventures is an Indian-American man,” reveals Virgil. Diversity and inclusion at Aflac is a top-down approach and strongly believes it represents what its stakeholders are striving for as well. Having gained a strong foothold in this domain, the team continually strives to innovate and deliver value added offerings in parallel with emerging technologies. The company envisions the technologies like mobility, AI and ML showing great promise. “We are focusing on mobile technologies, automation, self-service and digital payment options to make sure people can access us where they want to, when they want to, and how they want to,” explains Virgil. Priding themselves on their latest mobile app launched in the market a few months ago, the app was well accepted by the public without any marketing or PR around it. The company witnessed an astronomical 400,000 downloads and more, within a short span of time. As the team rides the market growth wave with several emerging technologies, the company currently has their eye on Robotics, Mobile technology and live chat. The company envisions facilitating its end-users with solutions and services that resonate with their commitment to ensure satisfied customers. Presently the company has implemented 23 robots that are capable of processing claims, reconciling bills and other high-volume tasks. “These are tasks that are routine, but otherwise would take up valuable time from employees. So now, we can have our employees work on more complex problems, build relationships with our customers and focus on things that humans do best – like empathy. They can also retrain to work on other important aspects of our business, including things like building or managing our robots,” says Virgil. To summarize, Aflac is a renowned organization holding a leadership position in the supplemental insurance space and strives to continue to deliver best-in-class solutions and services in alignment with advancing technologies.